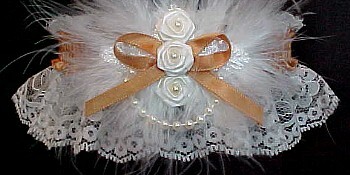 Colored Garter on Ivory Lace for Wedding Bridal Prom or Fashion by Custom Accessories Garters. Bridal Garters in your Wedding colors. 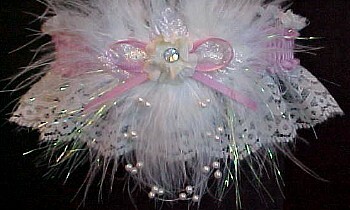 Bridesmaid Garter, Attendants Garters for your Wedding Day. Ivory lace with 175 colors of satin band to match your dress.